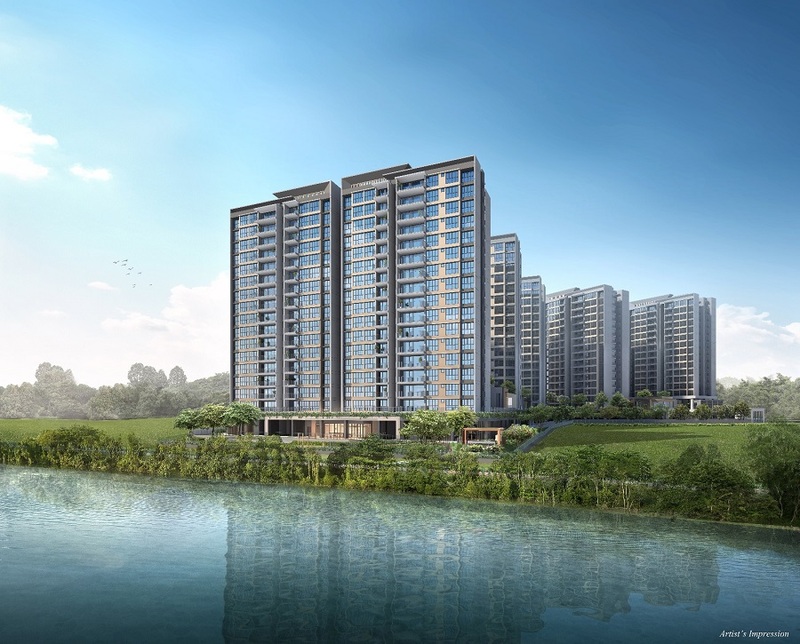 The 628-unit Rivercove Residences executive condo (EC) at Anchorvale Lane — the only new EC project expected to be launched this year — will be open for e-applications from April 1 to 11. Booking of units will commence on April 14. The project is located within walking distance of Tongkang LRT station, and developed jointly by Singapore-based, privately-held property developer Hoi Hup Realty and Malaysian developer, Sunway Developments. The EC comprises 10 blocks of 16 storeys each. About 77% of the units (484 units) are three-bedders, with sizes from 904 sq ft to 1,163 sq ft, and are priced from $830,000 to $1.13 million. Another 112 units (18%) are four-bedroom apartments which measure 1,184 sq ft to 1,281 sq ft, and are priced from $1.1 million to $1.3 million. Five-bedroom units make up 32 units, and are sized at 1,485 sq ft, with prices from $1.34 million to $1.47 million. Rivercove Residences is expected to be completed by Sept 2020. Hoi Hup and Sunway had purchased the Rivercove Residences EC site in a government tender in Sept 2016. The purchase price for the 99-year leasehold site was $240.95 million ($355 psf per plot ratio). Incidentally, Hoi Hup was the developer of Hundred Palms Residences, the 531-unit EC on Yio Chu Kang Road that was launched last July, and sold out in seven hours.